Did you have a good holiday season? Cheers to you for a splendid 2017! Whether you hosted family members at your home or just enjoyed having the kids home for break, chances are your house took a toll during these past few weeks. With people bringing in the wet winter snow, pets tracking in some mud from the places that have seen some extra sunshine, or children dropping Santa’s cookies frosting-first on the carpet, we believe we can help you get your home back into shape to start the new year fresh. As always, you can count on AA Super Klean for professional carpet cleaning in Casper, which is a sure-fire way to take your home from drab to fab following the holiday rush. Alongside carpet cleaning, keep reading to learn a few more ways you can repair your home after the hectic holidays have subsided. The trick with cleaning after the holidays have passed is it has to be a little more in-depth than what you may typically do in a day or week. 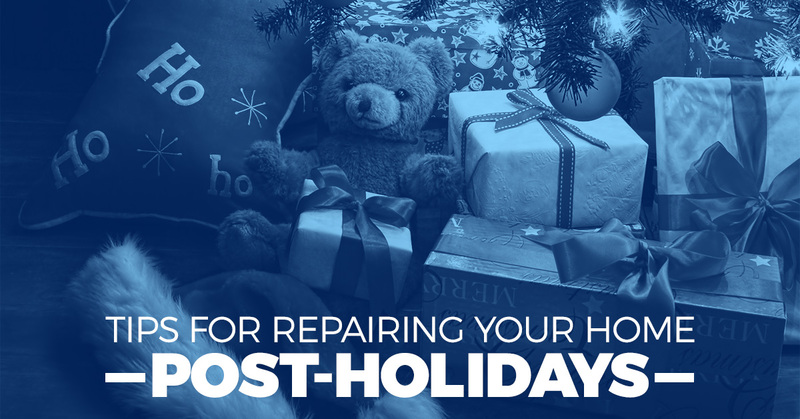 If you’re reading this blog, we’re betting that over the holidays, your house saw a ton of traffic and has been held together by bandages instead of being properly repaired along the way. We also bet that it was a fun whirlwind of a mess to make! In which rooms do you spend the most time? What do you need to be cleaned and ready right now? The best way to repair your home is to make a thorough list, and then organize it based on what you would like to be completed first. We’re guessing the dishes, laundry, and picking up toys may be some of those tasks atop the list. Separate your delicate china and serving ware from your everyday utensils and plates for starters, and make sure the cupboards are back to normal with the dishes used once a year replaced in the back to not be disturbed. Collect all dirty laundry in their baskets and do a few loads a day until you are back on your routine schedule. Fold and put away the holiday sweaters that can make an appearance again next year. As fun as it may be to leave out the toys from Santa, it’s best to give them a permanent home that is out of the way. Recruit the help of your little elves to make this chore go even faster. Now that the clutter is put away and you begin to see your house take shape, make the time to give everything a quick cleanse. Sweep and mop the floors, vacuum the carpet, dust the shelves, wipe down the bathroom, and spritz the windows. These few things will make your house look so fresh and so clean! And it’ll smell good too – not that anyone was complaining about the sugar cookie scent that has been lingering the past month! There are a few times a year that it is worth it to call in the pros. Carpet cleaning, for one, is something that can help prolong the life of your flooring investment. With all of the family tromping on the carpet all day, it deserves some extra TLC to see life again. You may also consider professional window cleaning in the springtime. Enjoy some peace and quiet as you start 2017! Call AA Super Clean for a free estimate on professional carpet cleaning in Casper. We are happy to help!